Wouldn’t it be great to know that your dating life isn’t over just because you have children? Online dating for single parents is a reality, and you can find your happiness no matter how old or young your children are. Our ultimate guide for parents who are single can help you! 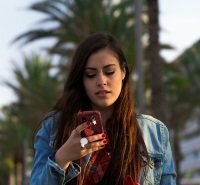 You’ll discover online dating sites single parents prefer, how to manage your online dating time and tips for occupying your kids so you can enjoy your dates. You may be thinking it can’t be done, but it surprisingly can. A: To be honest; you’re ready when you feel ready to date again. Some single parents may not begin dating until their kids are older. And then, some may jump right into online dating while their children are small so they may bond with their future father or mother. If you’re a single parent due to a divorce, you will have free time if you share joint custody with your ex-spouse. This gives you ample time to find dates and explore online dating sites. Finally, do it only when you have no qualms about it. Was your last divorce ugly? Did you marry an abusive person? Were they neglectful to your children? These questions are crucial because if you haven’t faced this part of your life, you won’t be ready for dating. You have to be mentally, emotionally, and physically ready to begin dating as a parent who is single with kids. A: You have plenty of options when it comes to finding the best online dating sites for single parents. Available are free online dating sites single parents may enjoy. And, you also have paid online dating sites to use. A popular online dating site to use is Single Parent Meet, which is perfect for meeting local and distant single parents. Another great site to use is Just Single Parents, which has excellent dating site features including a comprehensive search tool and a simplistic site layout. 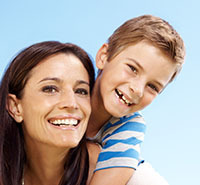 You’ll find excellent payment options, free trials, and lots of single parent interaction. Some of the best dating sites for single parents have partnered with babysitting services. That’s right. 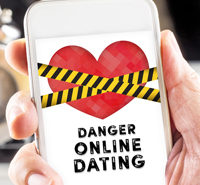 You can have someone watch your child while you enjoy your online dating. A: This is almost like asking, how do I find time for me? Well, you find time for yourself from your children, don’t you? It works the same way with online dating. You make time. Having kids may seem as if you never have any spare time, especially if you’re carpooling them or involved in their extra-curricular activities. But that’s what makes online dating for single parents special and easy. 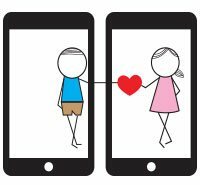 Set aside time for your online dating when your kids are at school. If you’re at work during that time, then use your lunch hour. With small children, plan around their time such as naps and playtime. Making time is the key here, not making excuses. A: Understand dating other parents with children is more than just hooking up. If you’re back into the dating scene with kids, you have to realize that you’re probably seeking someone to build on your current family. Your daughter needs a mother, or your son needs a father. Many single parents turn to dating again because they seek a completeness in family. However, that does not mean every single father or mother you meet is going to be appropriate for your family. Take into account, as you date, how they behave with their children. Are they too strict or are they too lenient? Do you agree with their methods of discipline and punishment of their children? And most importantly, does she or she provide you with what you seek as a partner and a lover? All of these questions are vital to a successful, long-lasting relationship. Q: Should I involved my kids in my dating? A: It’s a better idea to keep your children out of your dating life, especially in the beginning. Avoid introducing the potential person who could become their mother or father. It’s too early to tell what sort of parent they would be to your child, and without going on a first date it could complicate things. Right now, you’re in the beginning stages of online dating for single parents. Gradually work up into dating in person and finding out what the other person is like. Some newly paired single parent couples have the habit of quickly introducing their children, without fully knowing the other person. And, behavior like that puts you and your children at risk. Q: How long do I wait before introducing my kids to my new lover? A: This depends solely on your interaction and the time you’ve spent with your new love interest. It’s a good idea to discuss with your children that you will be introducing someone special to them. Help them understand that this man or woman is someone you want to bring into the family. This can be easy for smaller children, but older children can be very resentful. Some parents wait months before introducing their boyfriend or girlfriend to their children. Others wait a year or more. Again, this depends on how you perceive the person and if you feel they will be a good fit for your family. A: This question can be thought of more as a preference, but it does carry some importance. There are some young men and women who are single with kids. But, just because they have kids doesn’t mean they’re necessarily ready to be parents. Younger parents are still immature and may not make great partners or parents. Their idea of parenting is dropping the child off at daycare or with a babysitter so that they can continue to live their young lives freely. That’s not particularly attractive or beneficial to a responsible parent. To find a lasting, more stable partner, it’s ideal to date a mature parent instead of a younger adult parent. Check out our Professional Match review and find resposible, mature adults near you.